Oftentimes, when we think of the human skull we think of death and evil. I think this connotation of the skull is diminishing. After all, you see the skull in clothing, purses, and bracelets. 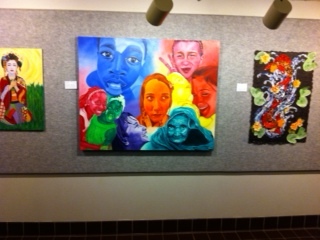 It didn’t surprise me to see it as an art at The 15th Annual Creighton Student Art Exhibit last night. 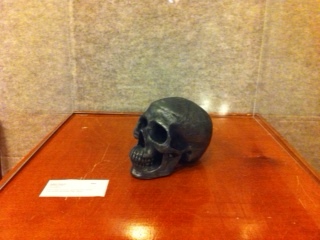 The anatomical skull was depicted beautiful by a Studio Art Major, aspiring dentist Ashley Hauger. My friend and I were amazed by how accurate the skull looked. We are currently taking anatomy and after having learned every bone, tubercle, and sutures of the skull (and nearly the entire body), we were MIGHTY impressed by the meticulous details put in the skull.